Please pay close attention to signs on school sites warning the public of construction. 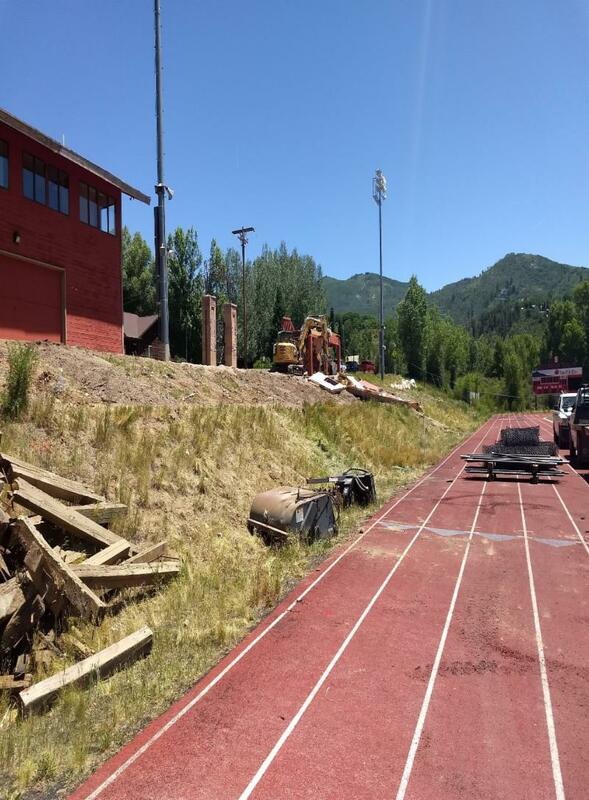 Demolition of the Gardner Field bleachers and press box is underway. Fencing along Maple Street is up, and excavation has started for the storage area east of the bleachers. Reminder: Gardner Field is currently closed to the public. Wondering why the turf at Gardner Field needs to be replaced? 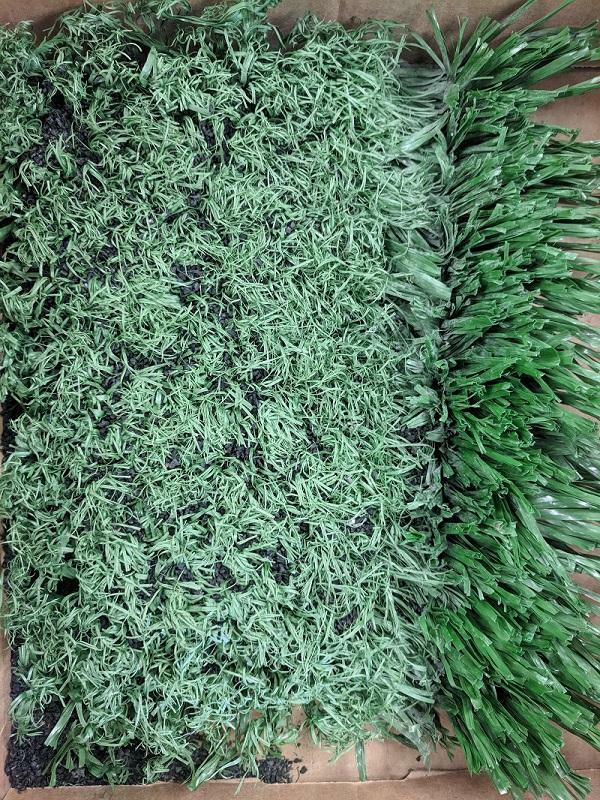 Check out this picture (left) depicting the current condition of the turf next to a small piece of turf that has been protected and unused since the original turf was installed. 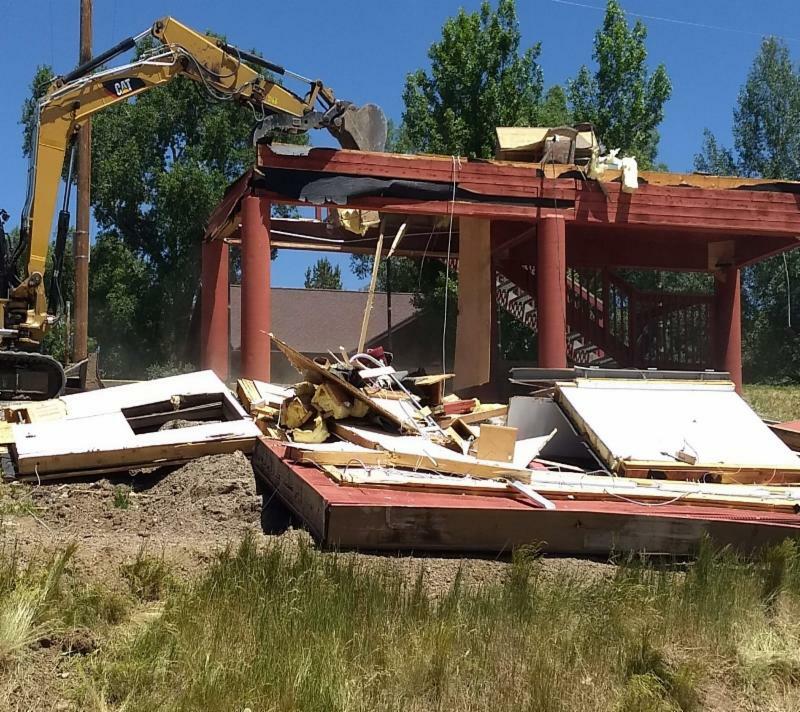 An existing space within Steamboat Springs Middle School (SSMS) is being renovated this summer to create four new classrooms to help relieve overcrowding at the school. 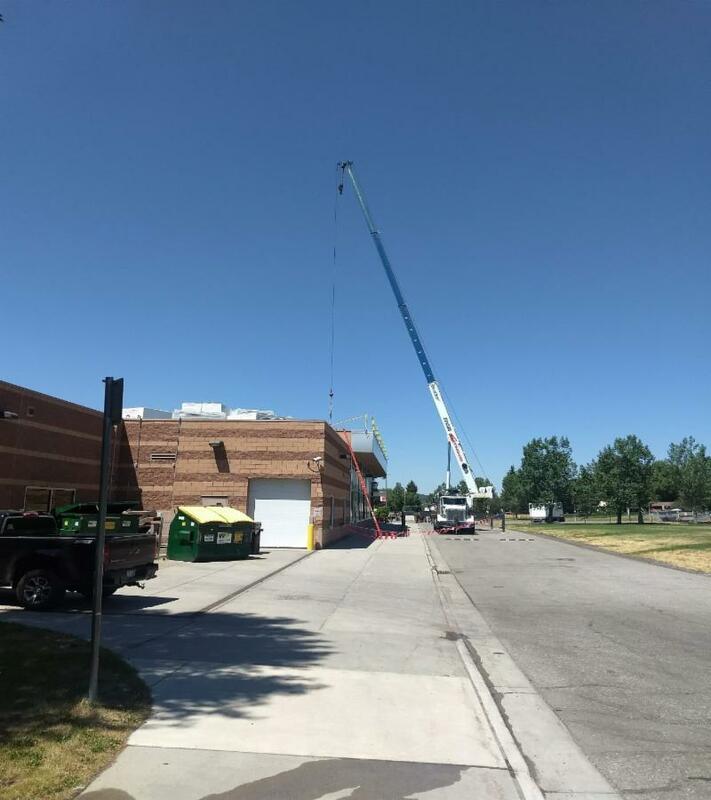 Even with the addition of four new classrooms at SSMS, the school is expected to be at 98% of its capacity in the 2018-2019 school year. 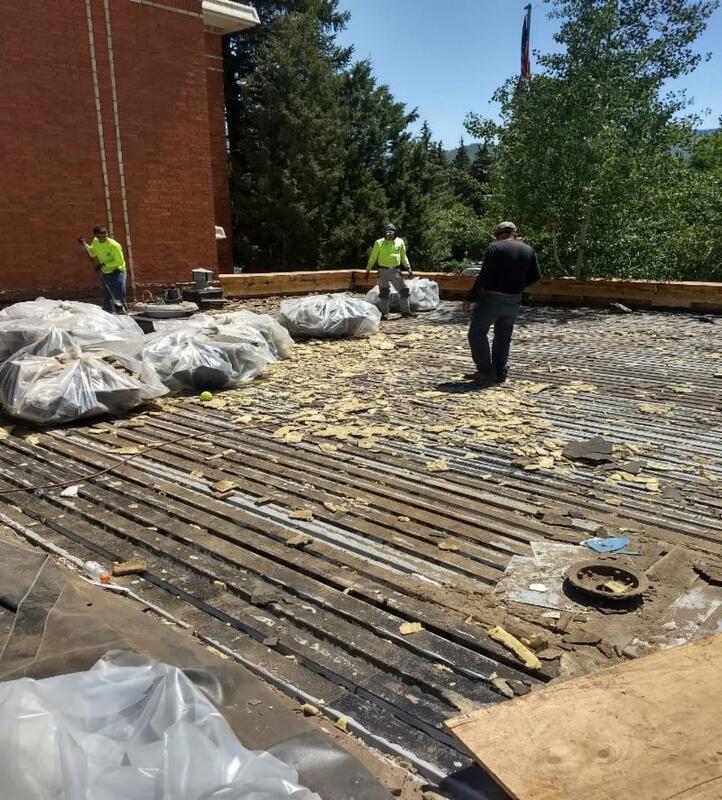 Roofing projects across the District are underway. Materials have been craned to the roofs and staged. Reroofing is in progress. 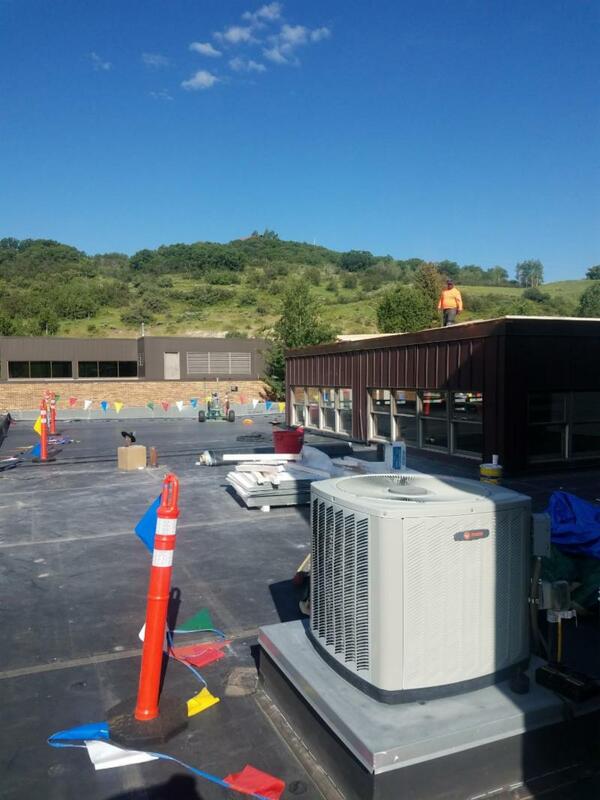 Did you know that the District's 7th Street building has four roofs, each with a different type of roofing material? 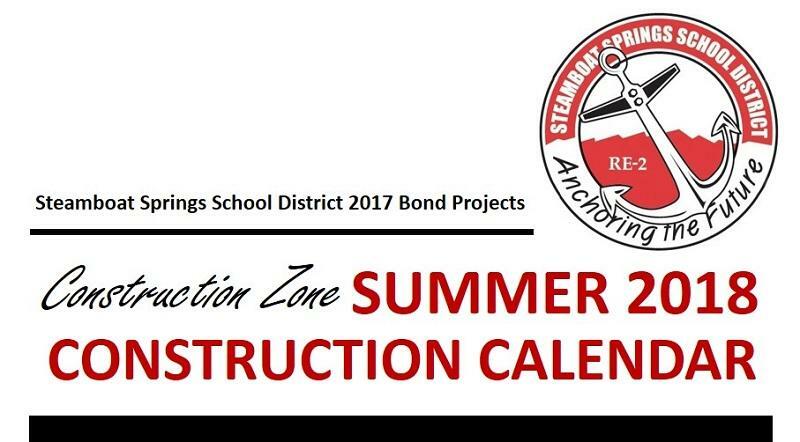 With the generous support of Steamboat Springs taxpayers, improvements will be made to District facilities from May 2018 to October 2018 . 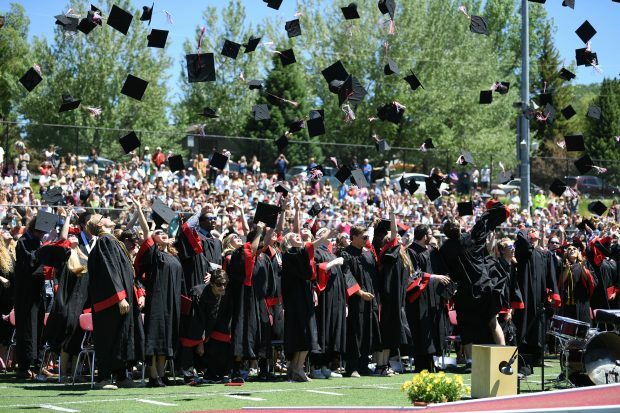 Roofs will be replaced at Steamboat Springs High School (SSHS), Steamboat Springs Middle School (SSMS), Strawberry Park Elementary School, 7th Street District office, and the transportation facility. 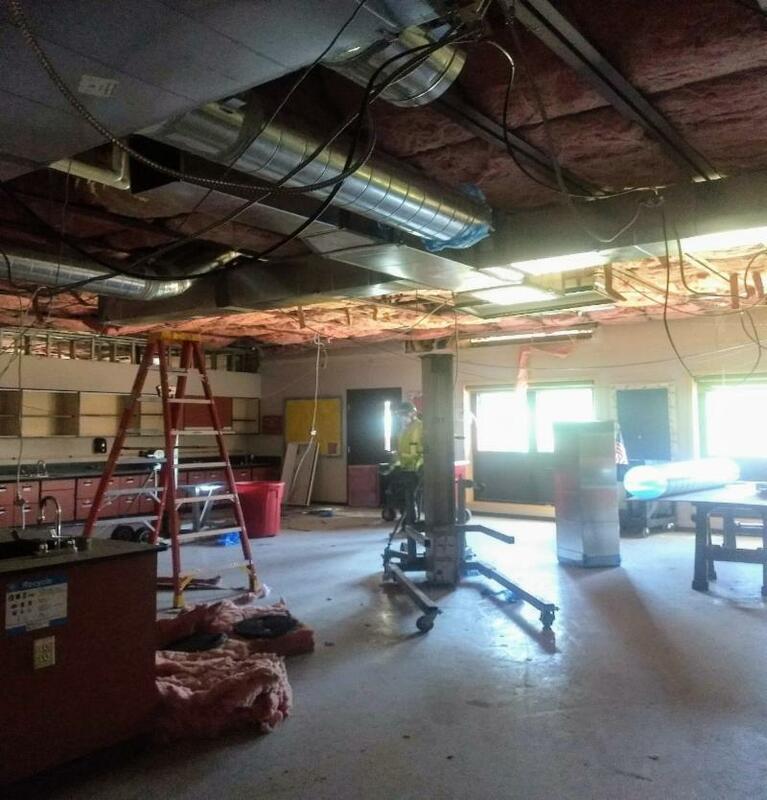 The heating, ventilation, and air conditioning system will be upgraded at SSMS. 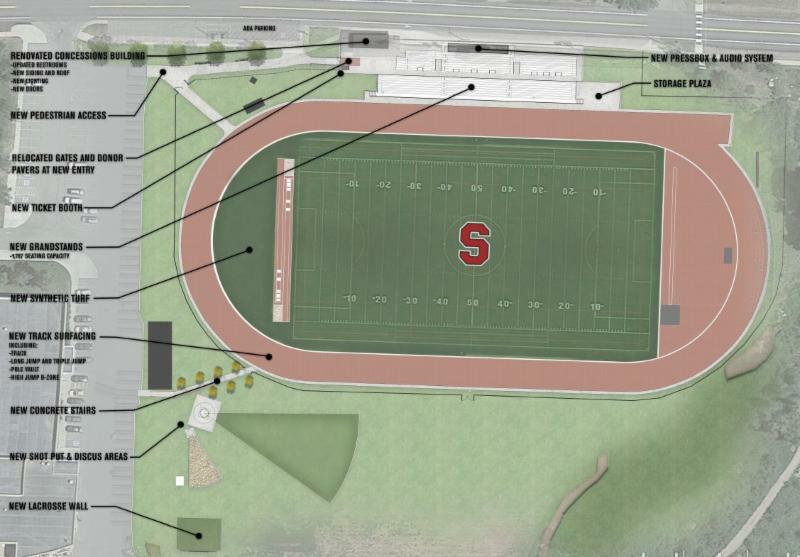 Significant improvements will be made to Gardner Field at SSHS. Click here to see the site plan for Gardner Field. 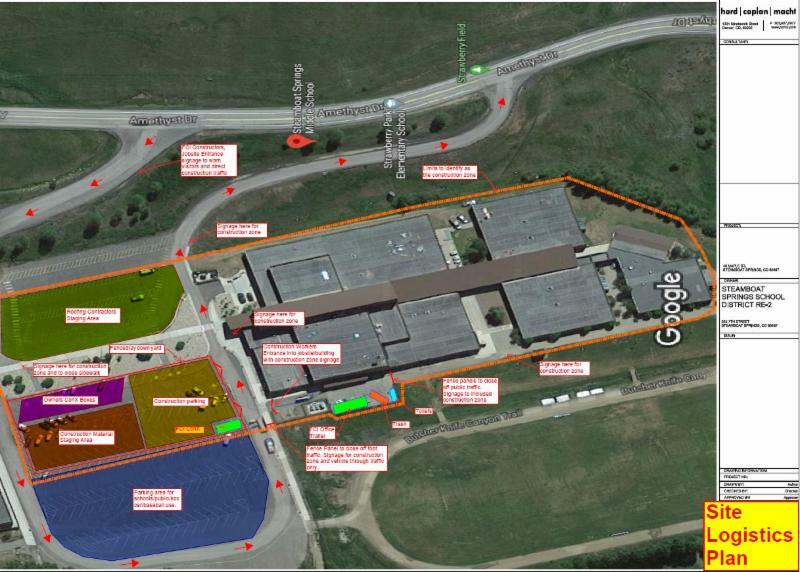 Click here to see the site plan for Steamboat Springs Middle School. 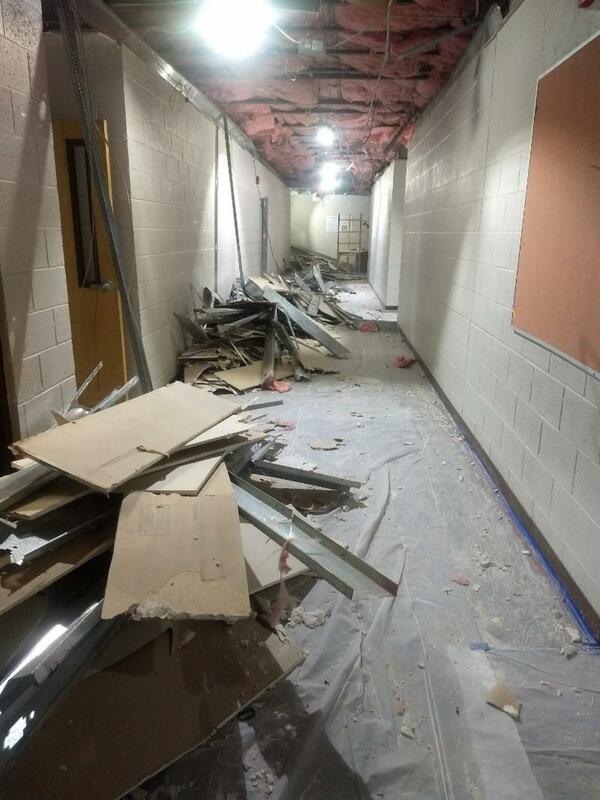 Where is the District on developing long-term facility solutions? Currently, 32 community volunteers are serving on four advisory committees that are studying our infrastructure, looking at current use and challenges, and aligning the District’s future needs with a professional master-planning process. Click here to learn more.